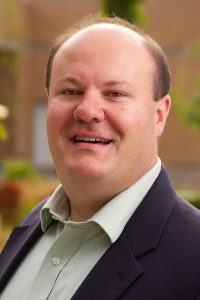 (BETHESDA, MD) — The American College of Medical Informatics announced that Brian Dixon, PhD, of Regenstrief Institute and the Indiana University Richard M. Fairbanks School of Public Health will be one of 18 fellows inducted into its ranks on November 4 in San Francisco at ceremonies during the American Medical Informatics Association (AMIA) 2018 Annual Symposium. The induction class includes physicians, PhDs and other professionals from three countries, 10 states, and institutions such as Columbia, Duke, Georgetown, Vanderbilt, Harvard, and U.S. Health and Human Services. Dr. Dixon’s research focuses on developing and evaluating innovative technologies and processes for managing knowledge regarding individual patients and populations.